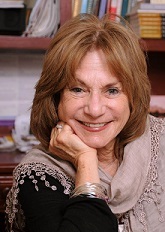 Befriending Your Ex–My Personal Experience – Judith Ruskay Rabinor, Phd. Although a great many books have been written to help soothe a divorcing couple’s wounds and spare their children, the surprising discovery that ex-spouses can have positive, meaningful, and supportive relationships with one another is sorely missing from popular and professional literature. Befriending Your Ex:Making Life Better for You, Your Kids and Yes, Your Ex helps to fill that gap. Story after story—including the author’s own personal story—reminds the reader that once the tsunami of divorce quiets down, exes can be friends who share a major joy: loving and raising their children. The children live with him? I was stunned. He argued that as a real estate developer in his own business, who worked at home with a flexible schedule, he was the more available parent than me, a psychologist who worked out of the home with fixed hours. As he rattled on, I began hyperventilating: my heart was pounding, my hands sweating. Divorce brings with it a series of losses, and I was absorbing and experiencing this fact in my body. Once I got over my initial panic I realized my soon-to-be ex was serious about parenting our children after divorce. He truly wanted to co-parent. Hesitantly, I considered his proposal After a great deal of negotiation, my ex and I arrived at a compromise. Our children would live half the time with him and half the time with me. We were pioneering what has now become a more conventional arrangement for divorcing parents– joint physical custody. At the time I divorced, I could never have imagined I would develop a relationship with my ex that would become supportive and comforting, even friendly. But over time, that is exactly what happened. When we first separated and were newly divorced, it wasn’t that way. We were distant, sometimes aloof, often angry and/or wary of one another. Yet for the most part, we were able to keep the phrase “in the best interest of the children” as our guiding North Star. We quickly learned to collaborate around the myriad issues involved in our children’s daily routines. Together, we attended school conferences and sat in the bleachers, cheering at childrens’ swim meets and gymnastic competitions. We collaborated with each other to help the children resolve problems large and small having to do with school, homework, friends and our family life. We celebrated their birthdays together and slowly, began to establish new ways of celebrating other holidays. Eventually, as time went on, we became more trusting and comfortable with each other, including new spouses in family events. All this occurred over many years, not without many painful moments. What I have learned, from my own experience and from counseling and interviewing others, is that that although befriending your ex is complex, it is more satisfying and attainable than you may be aware.